As soon as your local coffee shop starts advertising its pumpkin-spice latte and cider donuts, you know you’ve reached the end of ice cream sandwiches and boardwalk fried glory. But, along with the crisp fall weather comes incredible fall flavor. We’ve rounded up the best all-American culinary festivals around the country, so no matter where you live, you can get to at least one of these foodie-filled havens. Main events include grand tastings, a night market at Zidell Yards, Sunday brunch, and an epic Sandwich Invitational. The festival also offers hands-on classes, tasting panels, and an almost sold-out dinner series with the area’s top chefs. And if you’re looking to fly in for the festival, Alaska Airlines is offering 10 percent off flights to Portland for the weekend. Tickets can be purchased here; proceeds go to hunger-relief efforts. Unless noted, all events are 21 and over. With the incredible Newport mansions as your backdrop, you’ll feel like Jay Gatsby for a weekend. Events include the Wine & Rosecliff Gala, the Grand Tasting at Marble House, the Collectible Wine Dinner at the Elms, the Winemaker’s Brunch at Marble House, wine seminars, and the Newport After Dark party. Special guests include Martha Stewart, Sara Moulton, and Danielle North. Tickets are available here, and all attendees must be 21 and over. Coproduced by the Kings of Leon, this food festival also includes a live-music lineup curated by the band on Harvest Night, hosted at the Walk of Fame Park. 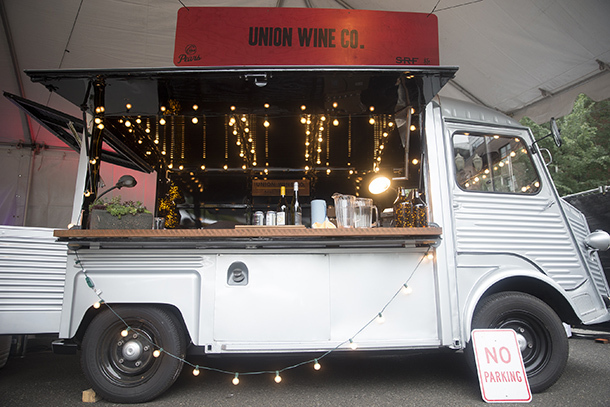 Other weekend events include the Grand Taste tents, showcasing local, national, and international restaurants, wineries, and breweries; cooking demonstrations; panel discussions; and wine, beer, and spirit tastings. 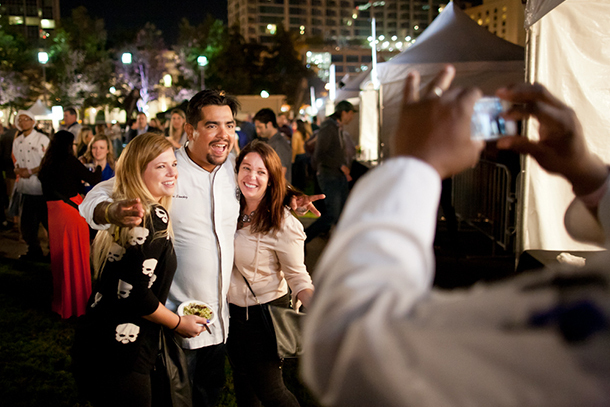 Featured chefs include Sean Brock, Ashley Christensen, Tyler Florence, and Amanda Freitag. Tickets are available here, and all attendees must be 21 and over. 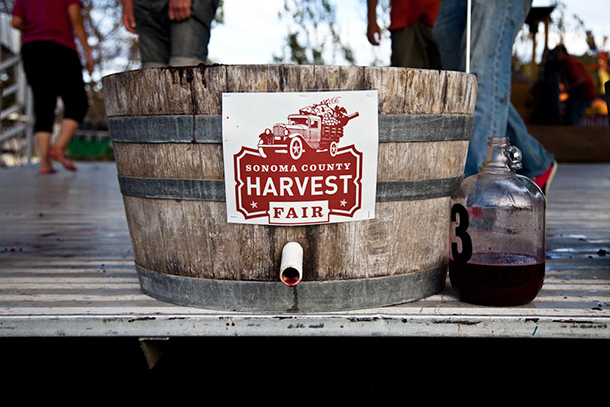 Set in wine country U.S.A., this festival hosts tastings, seminars, workshops (we have our eye on the farm-to-table one), chef demonstrations, and other activities like pumpkin tossing and even grape spitting. But the can’t-miss event is the famous World Championship Grape Stomp. Teams of two compete for major bragging rights and $1,500. Tickets are available here, and all ages are welcome (but attendees must be 21 and over to enter the Tasting Pavilion). Celebrating its 50th year, the National Apple Harvest Festival is annually held over the first two weekends in October and includes crafts, demonstrations, contests, food stands, live music, orchard tours, and other attractions. Don’t miss the apple-pancake patio or apple-syrup making. Call ahead for advance ticket sales; all ages are welcome. Perhaps the top culinary destination in the U.S., NYC hosts its seventh annual festival benefitting hunger relief by bringing together food legends from around the world and America’s favorite TV-personality chefs. 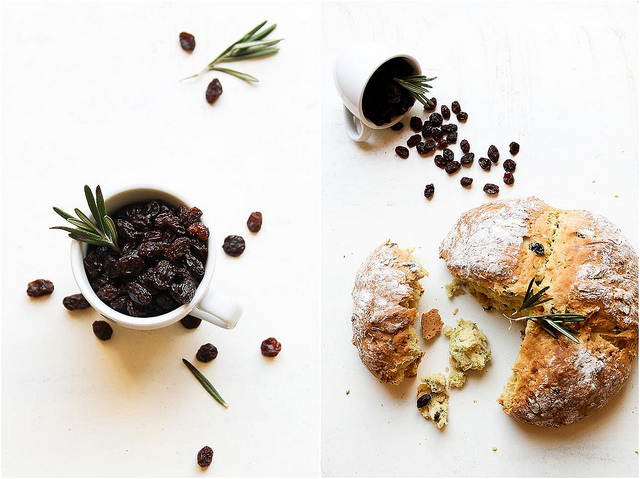 The five-day affair offers ticketed events such as intimate dinners, walk-around tastings, seminars, hands-on classes, brunches, late-night parties, demos, and a variety of family events. Featured personalities include Erin O’Shea, Sarah Simons, Anthony Giglo, Vincent Stipo, and Ted Allen. Tickets are available here; be sure to check out the $100 and under section for affordable events. Nothing says small town like this two-day shellfish festival on New England’s coast. Traditionally, on the weekend after Columbus Day, locals and visitors gather for tennis, a road race, an arts-and-crafts fair, various family activities, sustainability seminars, and the famous Oyster Shuck-Off. The winner must shuck 24 oysters in the shortest amount of time, while still maintaining aesthetic presentation. Tickets can be purchased here, and all proceeds go to educational scholarships and community grants. All ages are welcome.